Since it first opened in 2014, Battello has been one of Jersey City's most popular restaurants and event venues. 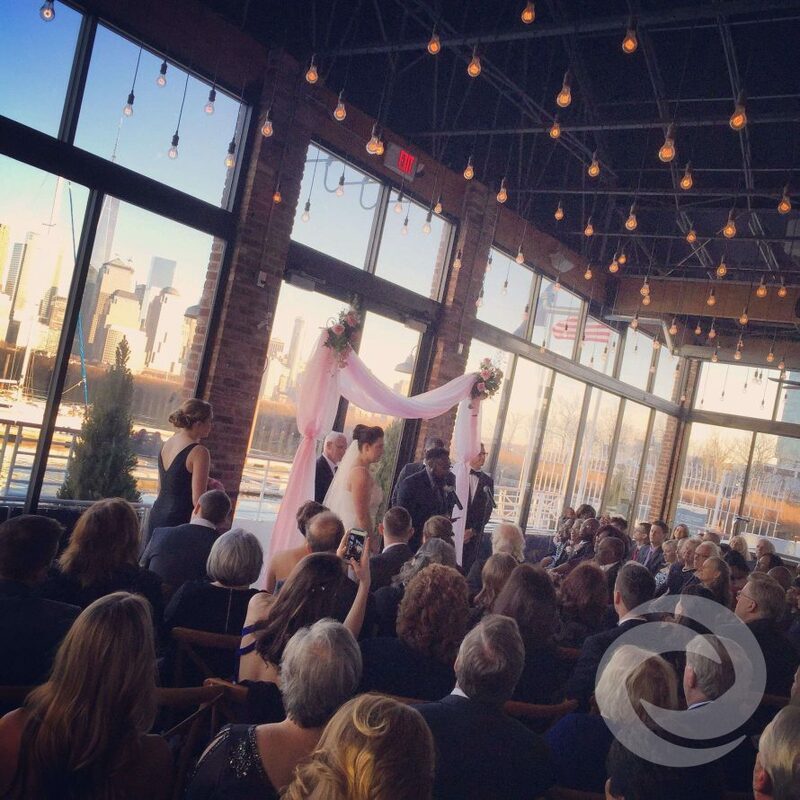 Its convenient location, top-notch cuisine, and unparalleled views of the New York City skyline made it a go-to destination for couples seeking a scenic New Jersey wedding spot with an urban vibe. Like many of those familiar with this Jersey City wedding venue, we were devastated when Battello abruptly shut down in September 2017 to make safety-related structural repairs. Hurricane Productions has worked several Battello weddings in the past, and we loved the unique, industrial atmosphere and incredible event staff. A few weeks ago, we heard the news all Battello fans were waiting for: The venue has officially reopened its doors. According to its website, regular dinner service is now available, with lunch and brunch service resuming in mid-February. That means the first new-and-improved Battello wedding isn't far behind. If you're among the many recently engaged couples who are planning a 2019 or 2020 New Jersey wedding, you may want to consider Battello as a venue option. Known for its nightlife and live entertainment, this waterfront establishment is easy to access from both New Jersey and Manhattan. It offers several unique spaces to host your special day, whether you want a small, intimate dinner reception or a cocktail-style party with hundreds of guests. Whatever you're looking for in a wedding venue, Battello is likely to offer it. We wish Battello's owners and events team all the best as they make their grand re-entrance into the New Jersey wedding scene!